Military PT visits will get you off base and trying something new. These visits give you an opportunity to leave Base for the morning and take your workouts to the next level with something exciting and different! 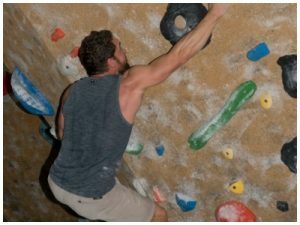 Whether you’re an experienced climber or are hoping to switch things up a bit, our 8,500 square feet of terrain offers something awesome for all levels. Not only does our facility provide ample climbing space, but it also features a free weights area, a rogue rack, and a hangboard and campus board area for even more training opportunities!